Copyright © 2007 Michael C. Roarke - This image is copyrighted. Unauthorized reproduction prohibited. 11 x 6 x 4 mm. 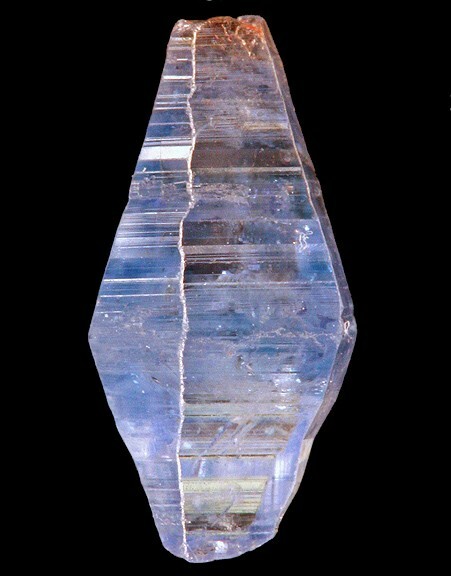 Trigonal spindle-shaped blue sapphire crystal. RFC 1534.